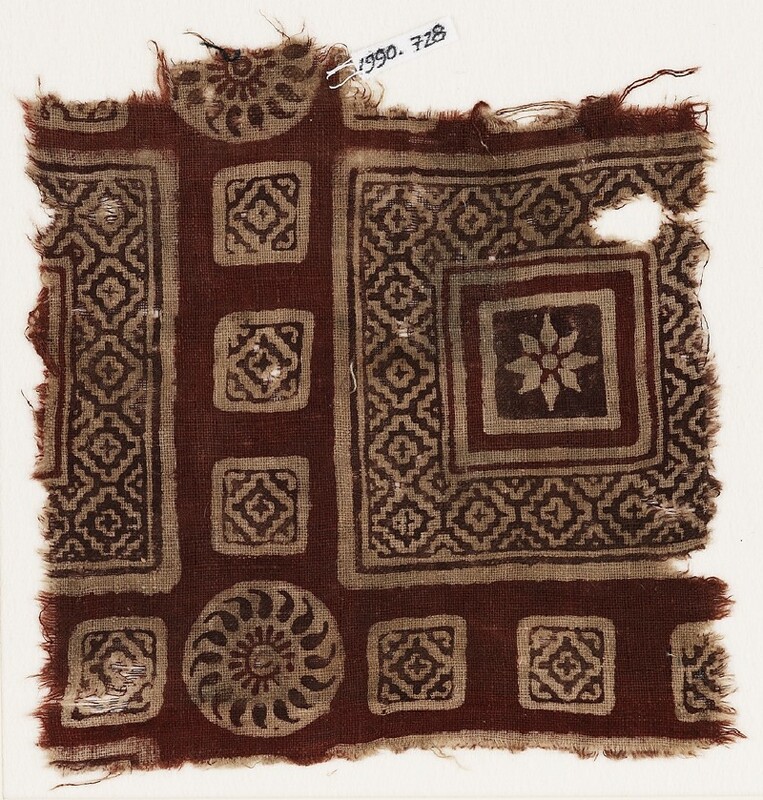 Large squares, each containing a small square with a rosette at the centre, similar to Cat. no. 718 [EA1990.725]. As in that previous example, the small square is surrounded by diamond shapes. Additional small squares are set between the large squares, each filled with a diamond, and a rosette with spiralling petals is at the corner. 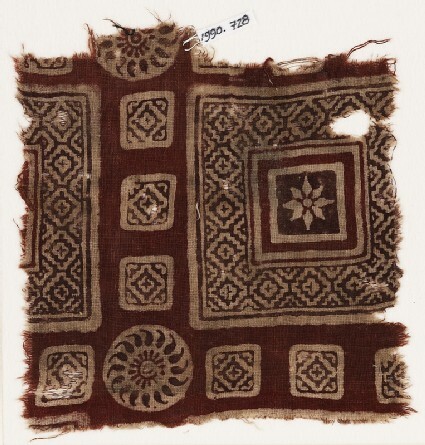 The pattern is defined by brown on white, and the general background is red. The brown dye has not always penetrated to the reverse, while there is additional dye penetration for the red. As in Cat. no. 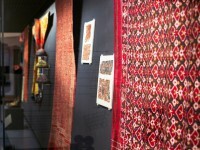 718 [EA1990.725], it is possible that the squares and diamonds are influenced by ikat textiles.